This project aims to examine the field of theater actors, and the practices of human differentiation that take place in the three-tiered process of casting, rehearsal practice and performances in institutional theater. Actors are specialists in a form of cultural communication, which essentially displays human differentiation through the actors’ physical practices. They enable the audience members to heighten their own reflection on everyday life and fictionality. They determine the degree of exposure and transparency of these differentiation practices through the interspace of the corporeality of the actors. This Theater Studies project looks at the intellectual performance of physical actions and their potential for performative reflection. This occurs particularly where the acting practices experience a potentialization of an essential transgression from human differentiation: when biologically framed categorization itself becomes visible as fiction. The target analyses of human differentiation relate to the examination of forms of cross-gender and cross-ethnic acting in German contemporary theater. In comparative research on these two cases, the subproject examines the hypotheses that in acts of performative reflection in cross-gender and cross-ethnic performance, categorization of gender and ethnicity are both suspended and made to disappear in the eyes of the audience. 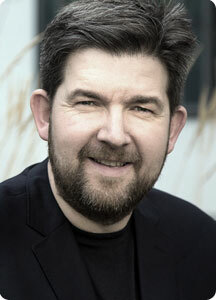 Friedermann Kreuder has been Professor of Theater Studies at Mainz University since 2005. He was President of the Society of Theater Studies from 2008 to 2012, and Vice President from 2004 to 2008. He was Guest Lecturer at Trinity College in Dublin, at ZKM in Karlsruhe, Glasgow, Bern and HTMF in Hamburg. He was a research associate at the Institute for Theater Studies at FU Berlin and Scholar in the DFG Graduate Program “Theater as a Paradigm of the Modern Age: Drama and Theater in the 20th Century” at Mainz University. He gained his postdoctoral qualification in 2005. In 2003 he received the Tiburtius Prize for his dissertation entitled “Forms of Memory in the Theater of Klaus Michael Grübers”. Deutsche Kunst und deutsche Politik. Richard Wagners ‚Die Meistersinger von Nürnberg’ (1867) in der Zeit einer riskanten Moderne. In: Robert Sollich et al. (eds. ): Angst vor der Zerstörung. Der Meister Künste zwischen Archiv und Erneuerung. Berlin: Theater der Zeit. p. 112-124. Aldilà teatrale – Hamlet und die andere Welt. In: Friedemann Kreuder und MichaelBachmann: Politik mit dem Körper. Performative Praktiken in Theater, Medien und Alltagskultur seit 1968. Bielefeld: Transcript. P. 123-137. Flagellation of the Son of God and Divine. Flagellation: Flagellator Ceremonies and Flagellation Scenes in the Medieval Passion Play. In: Theatre Research International 33/2. pP 176- 190.